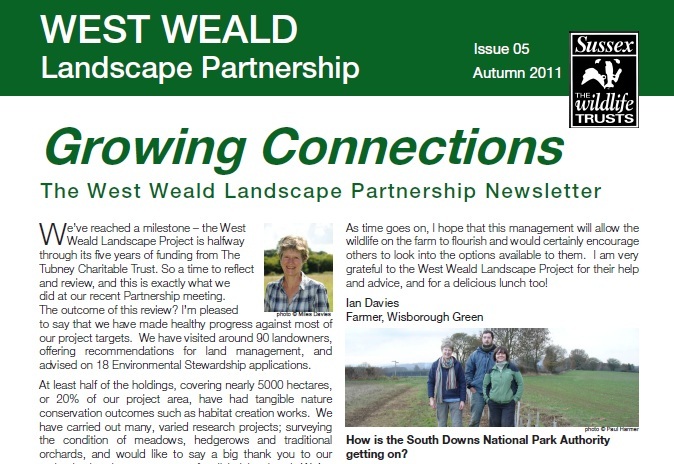 Petra Billings had sent us the Autumn edition of the West Weald Landscape Partnership newsletter. This will obvioiusly be of particular interest for those in the south east, but there are still plenty of interesting articles. Please get in touch with her direct if you have any thoughts or ideas about the newsletter or the project itself, she would be particularly pleased to hear from any farmers who might be interested in habitat creation schemes this winter. Download the Newsletter directly from here.